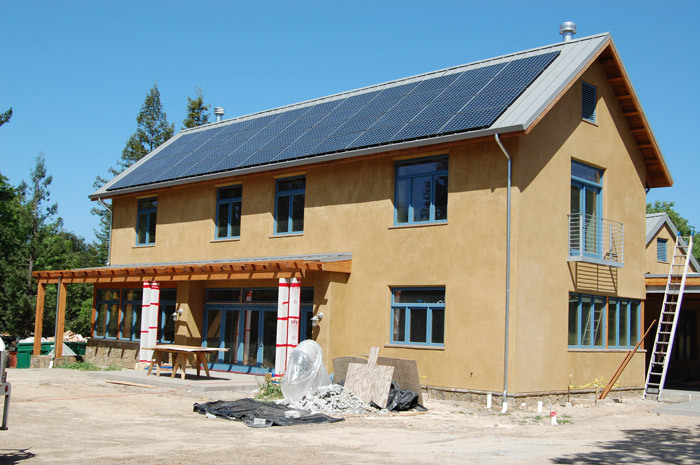 A Sonoma County strawbale home won a 2013 Green Builder® Media Green Home of the Year award. The home was recognized in the Best Exterior Integration category. This LEED Platinum home features Saint Astier® Natural Hydraulic Lime over a strawbale structure. The farmhouse sits on a 32-acre site that includes covered walkways, gardens, and gabled structures. Additionally, there is a living roof and solar electricity.